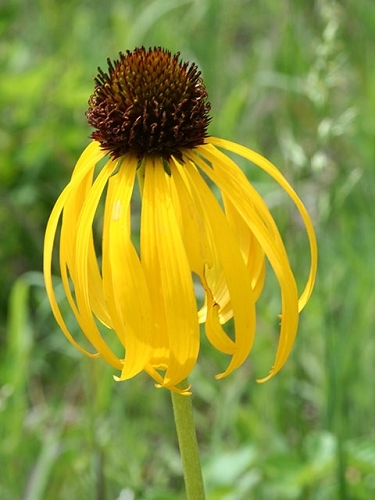 Yellow coneflower is very fragrant and makes a great cut flower for floral arrangements. 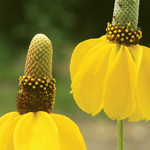 It is a compact plant with multiple stems and low basal foliage. We've had mixed reports regarding whether or not deer like this plant; they may browse it if they're hungry enough, but generally it is considered deer resistant. Butterflies, however, like it a lot. 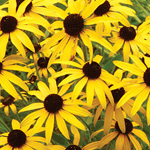 I love this Echinacea! 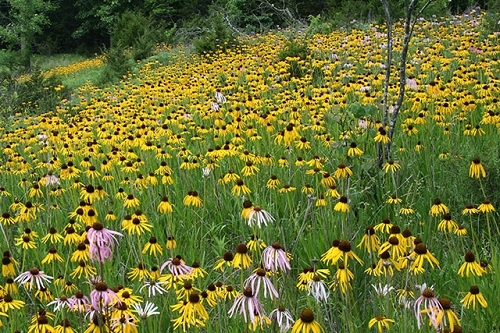 It is not invasive and the flowers are so cheery. 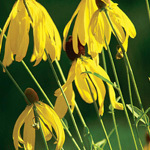 In fact, I wish it would self seed more. Bees and butterflies love it. Goldfinches love the seeds which may be why I have fewer plants than I'd like to have. Q: how many seeds come in a $2.50 packet? A: About 200 seeds in a packet.